Unfortunately, no one dies in this comic. I am very sorry. I’m not as satisfied with this one as with my previous comics, but it’s all I have. We always assume that books will make us smarter. 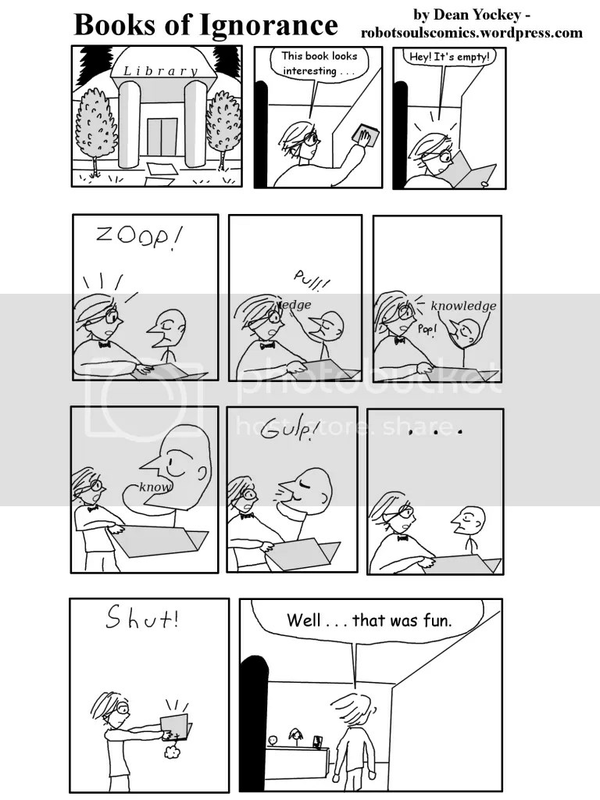 This entry was posted in Short Comics and tagged comics on July 7, 2014 by Dean Yockey.